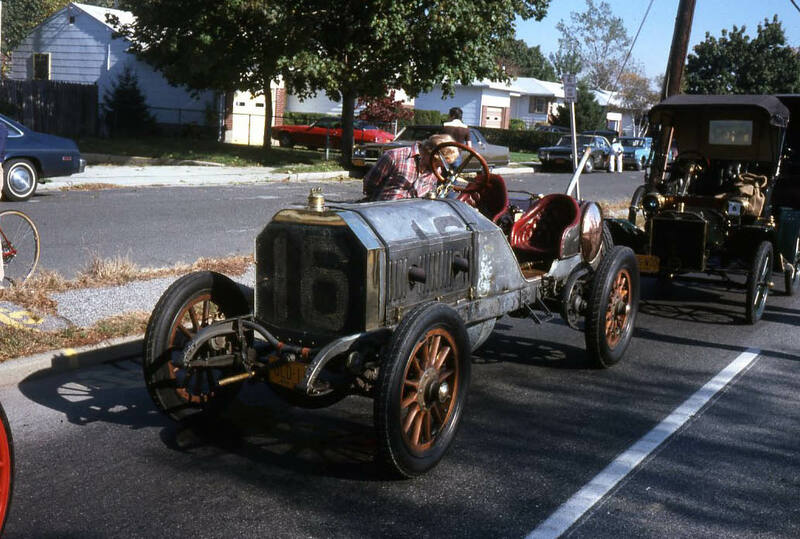 VanderbiltCupRaces.com contributor Walter McCarthy has been restoring, collecting and showing vintage automobiles and trucks on Long Island for over 50 years. 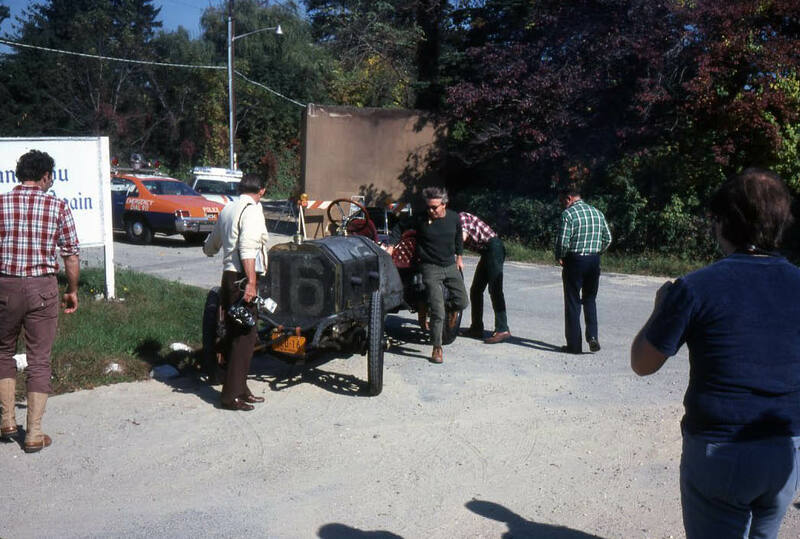 During this period , Walter has recorded hundreds of vintage car events via photos, slides and films. He has agreed to share these treasures on this website throughout 2012. 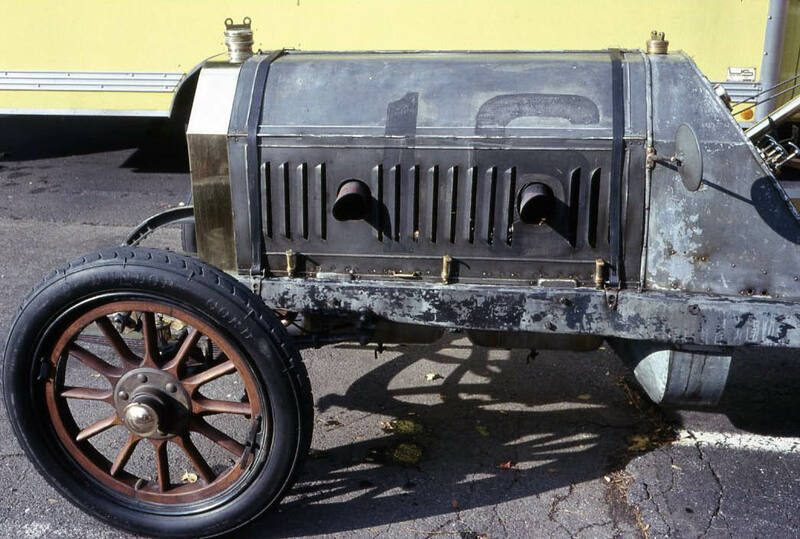 First in the series is the 80th celebration of the 1908 Vanderbilt Cup Race that started at the Maine Maid Inn in Jericho and ended in a car show at the Grumman plant in Bethpage. 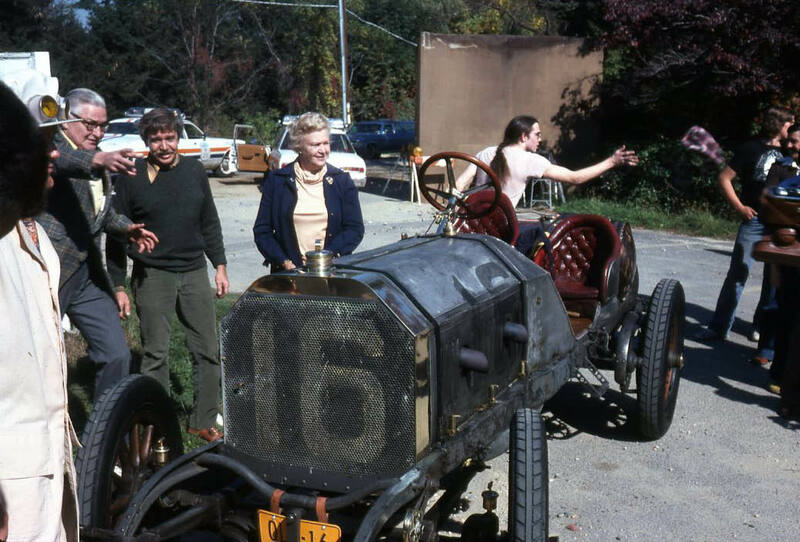 The highlight of the 1988 celebration was the arrival of the 1908 Vanderbilt Cup Race winner "Old 16" Locomobile owned by Jerry Helck (seen exiting the car). 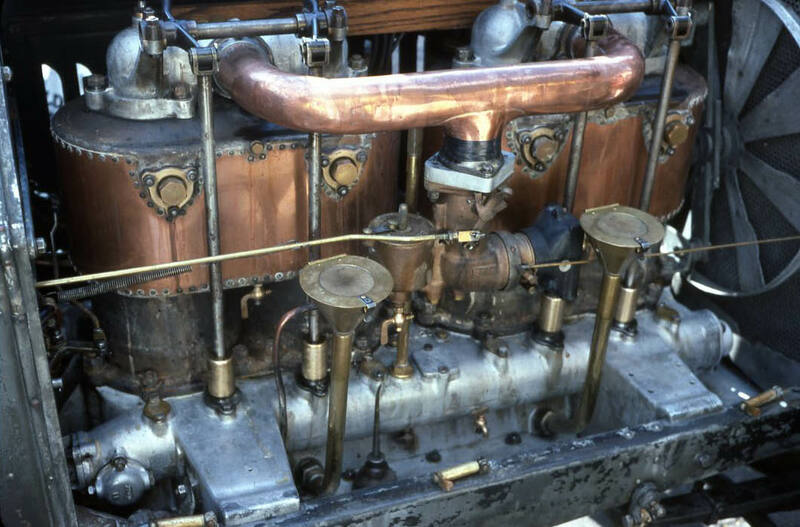 In the top photo, Walter McCarthy posed with "Old 16". Crawford Robertson, the son of the 1908 winner George Robertson, pointing out the course driven by his father to Jerry Helck. 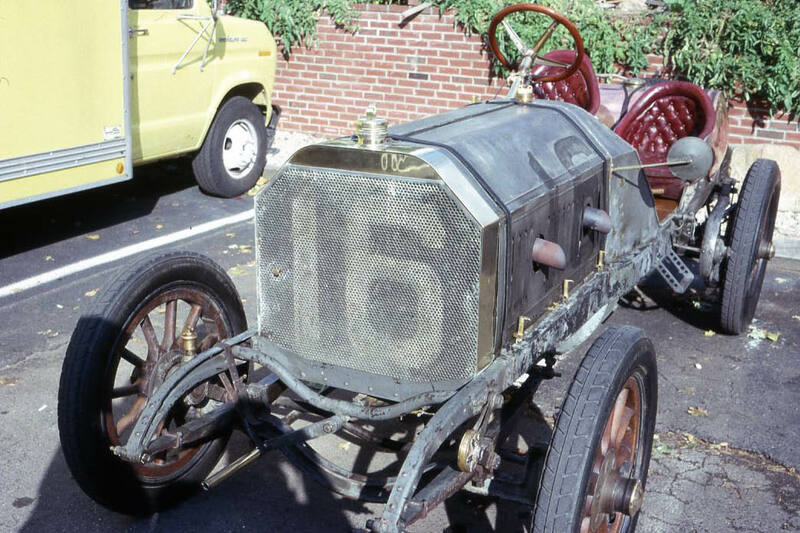 Views of Old 16 parked in front of the Maine Maid Inn. 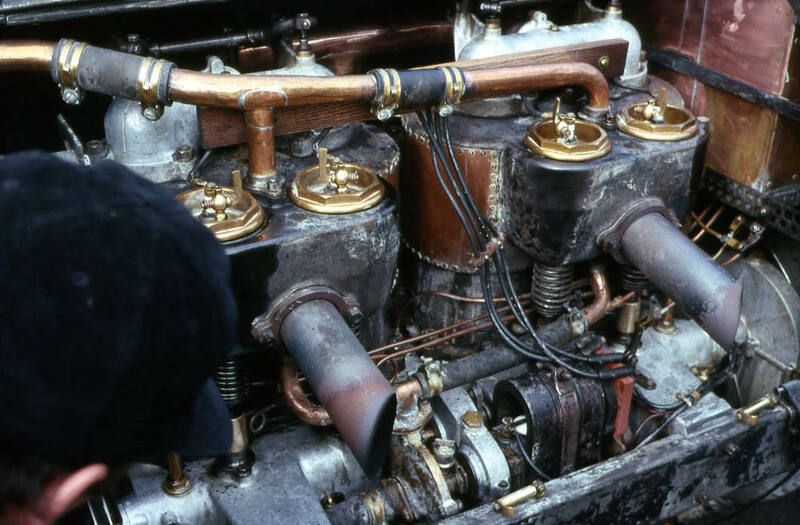 Old 16's pressed alloy steel chassis supported a four cylinder engine with a bore and stroke of 7.25 inches each making for a total displacement of 1,197.2 cubic inches. 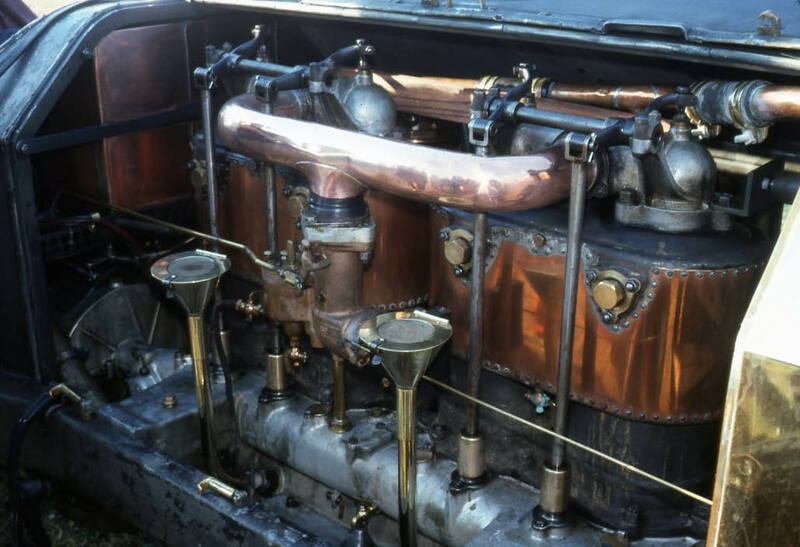 This configuration delivered 120 horsepower. Old 16 lined up preparing for a parade run to the Grumman plant. Walter, thanks again for your contirbutions to VanderbiltCupRaces.com! What a bittersweet day. The fantastic memories of riding in Old 16 tempered by standing next to Jerry when the State Trooper came over to tell him that his mother, Priscilla Helck, had passed away. 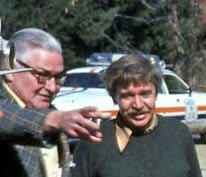 Crawford Robertson was a neat fellow, always a gentleman. He lived in an apartment house just east of the Garden City Hotel on Stewart Avenue. He and Austin Clark and I used to go out for lunch fairly frequently (usually at the Maine Maid Inn) back in the 1970s and the conversations were always very interesting. He was on the road a lot in his work and his everyday car was a big deluxe 1960 Mercury station wagon, with the imitation wood trim on the sides. You actually have pictures from 2 different events. The ones in which the car has a front license plate are from a meet in the summer of ‘79 (or possibly ‘78). I know this because I’m in one of the pictures and I haven’t had hair that long since my junior year in college! Thanks! I thought that was you!! I find it ironic that we’re now in a battle to keep The Maine Maid Inn around. Does anyone know the current status?